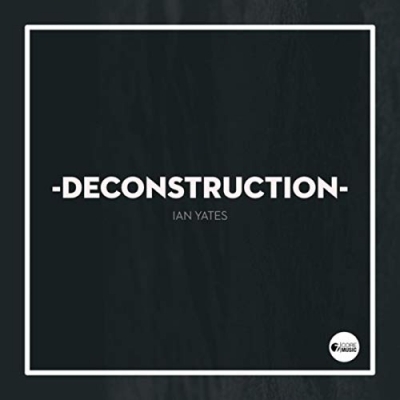 Ian Yates returns with the fourth single and title track of his forthcoming mini album 'Deconstruction'. The songs in this series have a slightly darker overtone to anything Ian's released before. This is a song about re-thinking everything you once believed, and finding out you're still in the game. It's about tearing down to rebuild something stronger. "From deconstruction, to resurrection, From distant hope to, full connection"
The previous singles in this collection have received glowing reviews from critics and journalists. 'Belly Of The Best' and 'Hope Beyond Hope' both received 10/10 reviews at the UK's Cross Rhythms and 'Hope Beyond Hope' also featured in CCM Magazine's 'Best Thing I heard Today' in the USA. Ian is a Christian worship leader and songwriter from Liverpool, UK. He leads musical worship at his home church Bootle Elim, and is married to Kate. They have 3 young children, Jackson, Elijah and Abiah. September 2016 saw the release of Ian's 4th album, (his third on 7Core Music) 'Awaken To Love' to rave reviews, and included 'No Longer I' co-written with Matt Redman, and the UK Step Fwd chart number 1 single 'Highwire'.